Yet another photo editing app has made its way to Android, after having generated quite a following on iOS, but don’t worry, this is a good one. 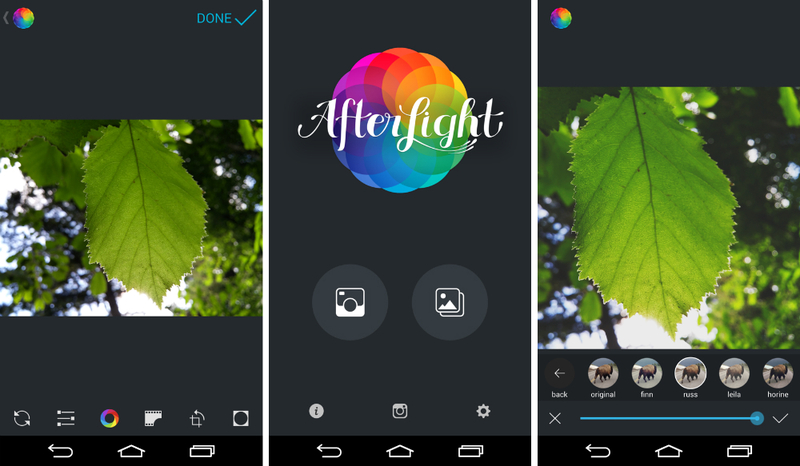 The app’s name is Afterlight, and it brings a ton of customizable filters, frames, settings, plus effects to your fingertips for all of those Instagram photos you want to post. Of course, the app only comes with so many settings and effects, but additional packs are available via $0.99 in-app purchases. The main selling point would be its hipster-tastic filters, but I would argue that its smooth wannabe integration with Instagram is more important. Upon opening on the app, you can choose to take a photo with an IG-like camera app, saving yourself the hassle of cropping your photos taken with the stock camera app on your phone. Once a photo is taken, you can edit, then instantly upload to Instagram or any other social site. The app is priced at $0.99, and even though it comes with IAPs, the basic app features plenty of good settings to make the price worth it. But for the sake of full transparency, if you haven’t check out Snapseed, that’s the app you really want.